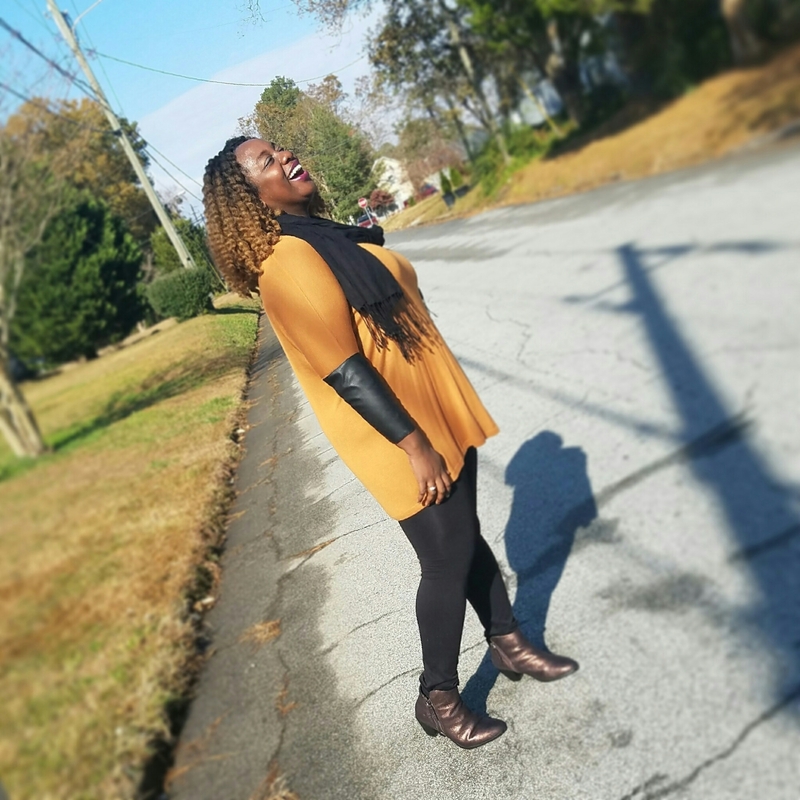 Thanksgiving was nothing short of AMAZING! During any holiday or family get together, I always try to wear something cute and COMFORTABLE . Comfort is very important especially if you plan to eat a plate or two…or three of delicious holiday food! 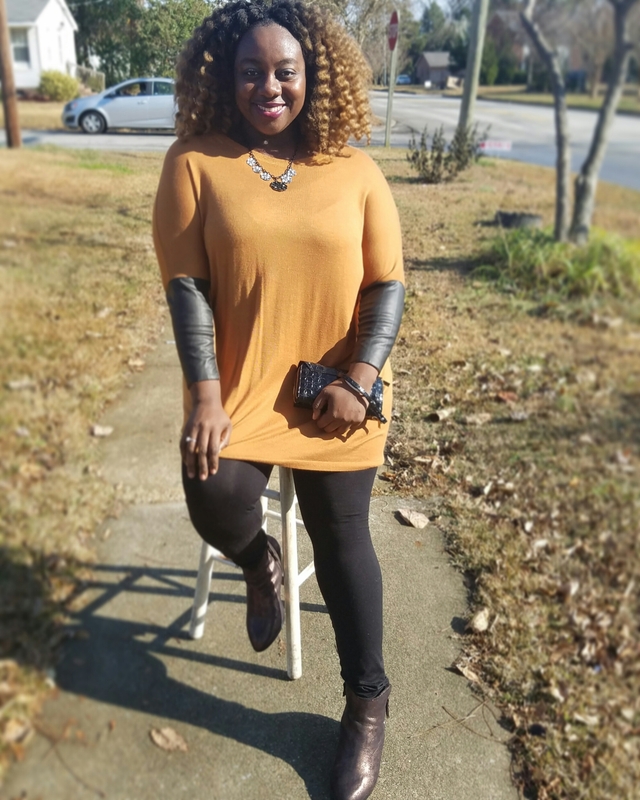 This beautiful chestnut-colored H&M sweater tunic with leather sleeves(no longer available in stores) was oh so comfortable. This top gave me enough room to eat as much as I wanted without it showing my post-thanksgiving stomach bulge. 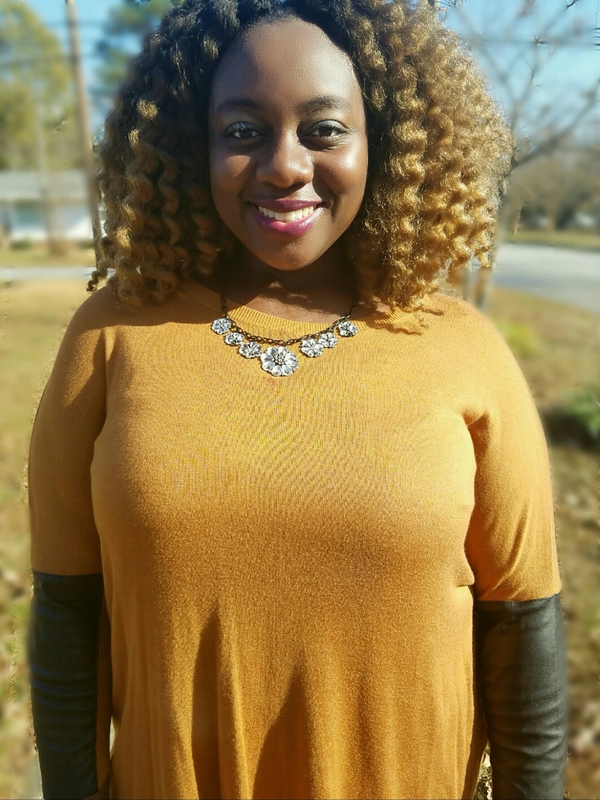 Flowy tops are comfortably stylish too! 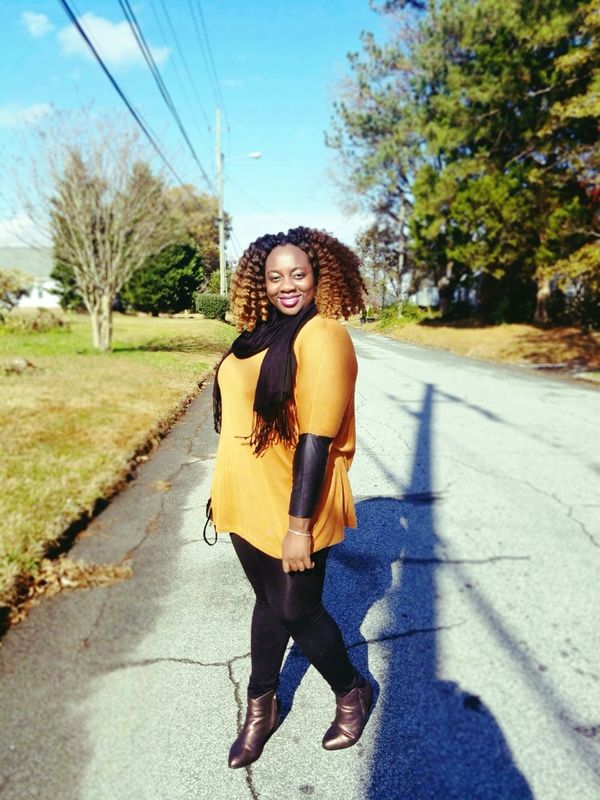 The leggings that I wore from Ross was the perfect fit as it gave me comfort and stretch. I absolutely loved it! You can never go wrong with a good pair of leggings. 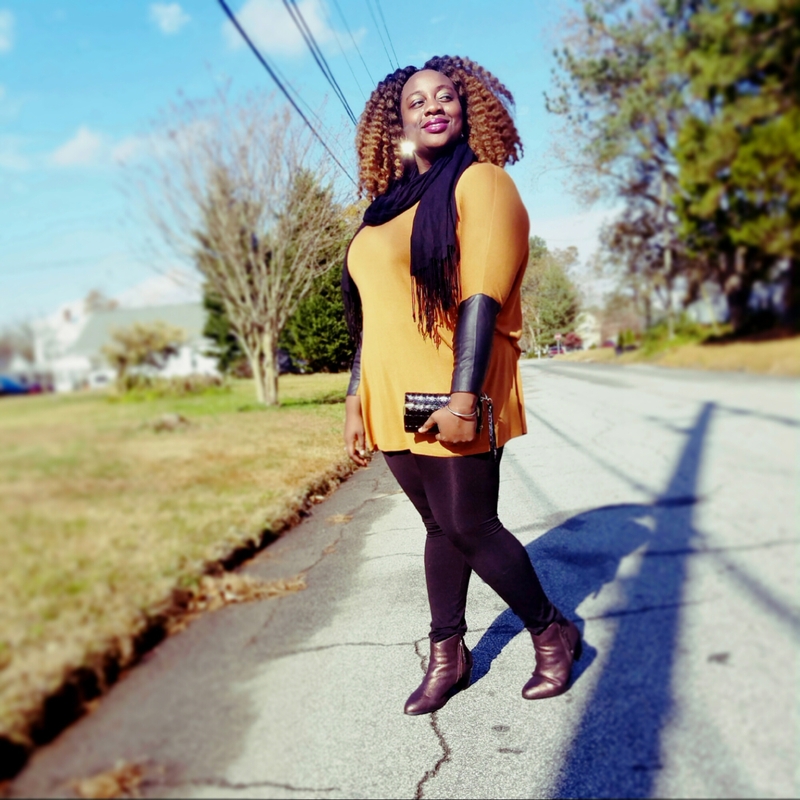 Booties are the perfect shoes for the fall! 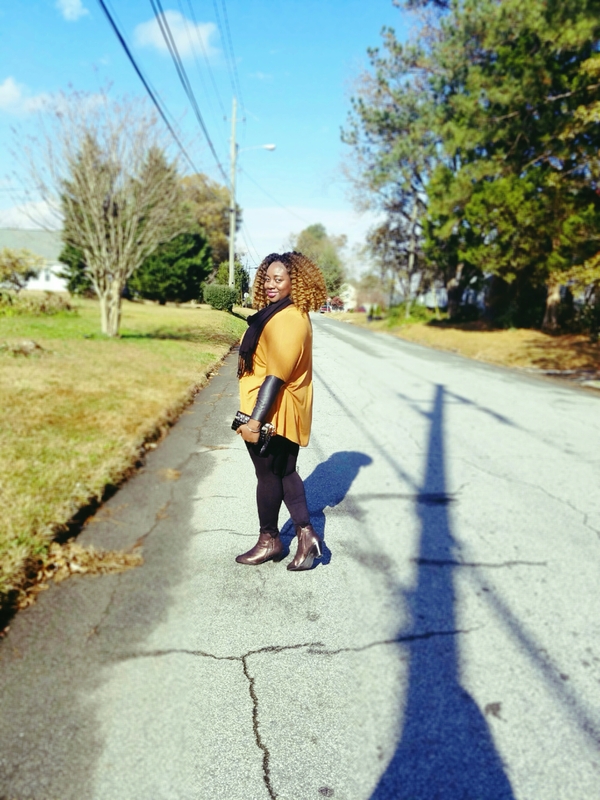 These rusty metallic booties from Lane Bryant completed the look! Don’t you think? 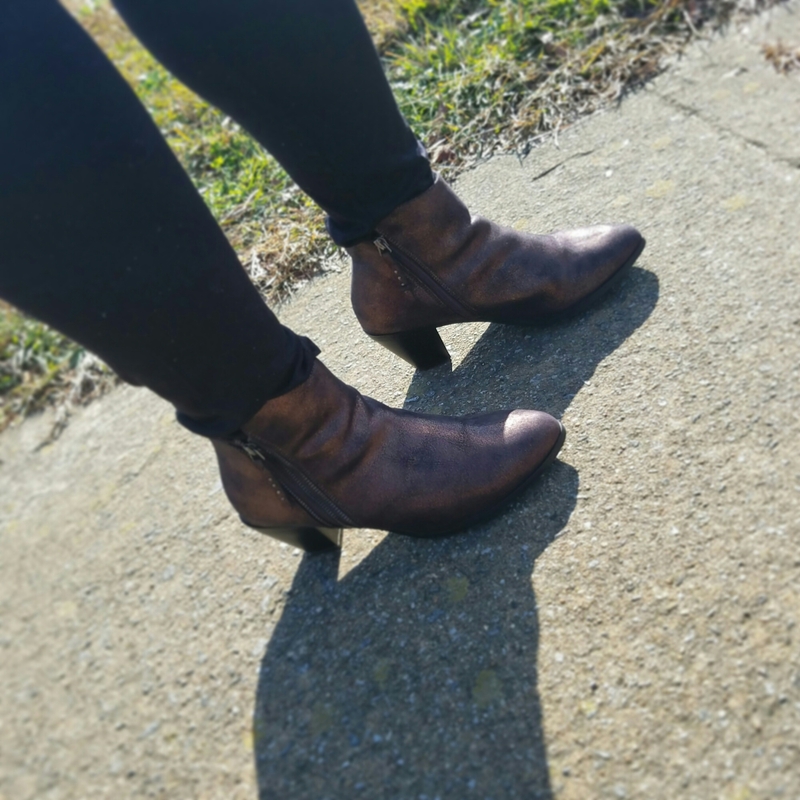 These booties were comfortable, true to size, and the shortness of the heels made it easy for me to walk around the whole day without taking them off. To top it all off, I added an accessory that gave just the right amount of style and shine. “An outfit is never complete without a smile”. 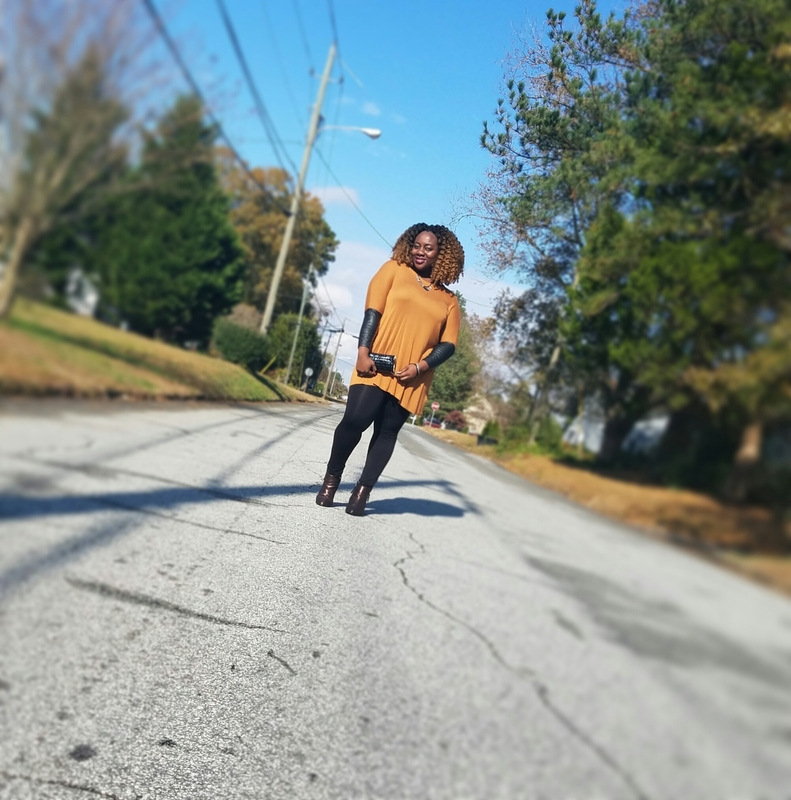 This Thanksgiving was most definitely a comfy and stylish one! Thank you! Thank you! Thank you! The colors are so fitting for this season!